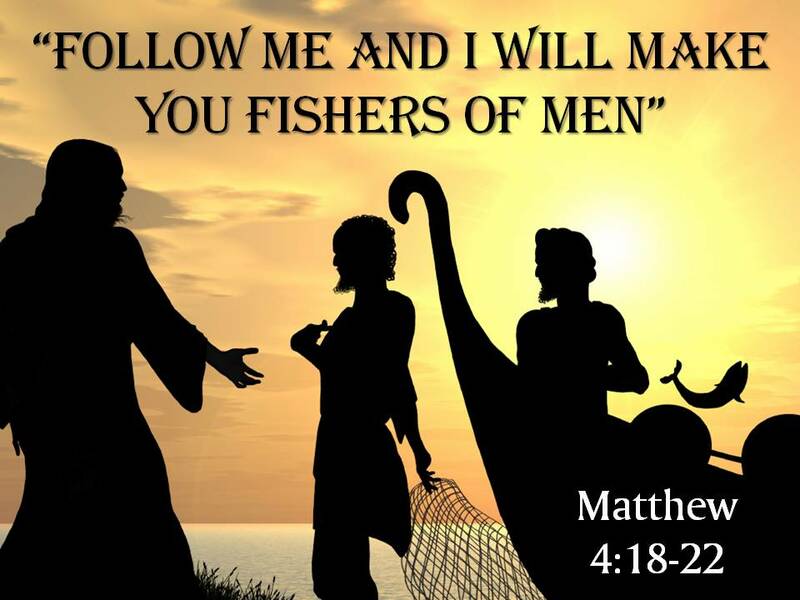 In Matthew 4:19 Jesus tells Peter and Andrew who are fishermen to come follow Him, and He will make them fishers of men. He continues in this chapter by asking James and John to follow Him. He begins going out teaching in the synagogues, and healing many. He is showing His apostles what their job will be, and what it is that we should be doing today, leading people to the true word of God. Satan is also a fisher of men, and his nets are full! Satan is working in the churches today through preachers who are bottle feeding their flock with lies and false doctrine. Many times while Jesus is teaching His apostles, He warns them about the false teachers who are here to lead people astray. Matthew 7:15, “Beware of false prophets, which come to you in sheep’s clothing, but inwardly they are ravening wolves.” In Matthew 24, Mark 13, and Luke 21, Jesus’ apostles ask Him what shall be the signs of His coming, and signs that we are getting closer to the end of this flesh age. What is Christ’s response? Matthew 24:4-5, “And Jesus answered and said unto them, Take heed that no man deceive you. For many shall come in my name, saying, I am Christ; and shall deceive many.” Matthew 24:11, ” And many false prophets shall rise, and shall deceive many.” He states the same thing in Luke 21 and Mark 13 as well. Christ also warns in Matthew 16, Mark 8, and Luke 12 by telling His disciples to beware the leaven of the Pharisees. Matthew 16:6-12, “Then Jesus said unto them, Take heed and beware of the leaven of the Pharisees and of the Sadducees. And they reasoned among themselves, saying, It is because we have taken no bread. Which when Jesus perceived, he said unto them, O ye of little faith, why reason ye among yourselves, because ye have brought no bread? Do ye not yet understand, neither remember the five loaves of the five thousand, and how many baskets ye took up? Neither the seven loaves of the four thousand, and how many baskets ye took up? How is it that ye do not understand that I spake it not to you concerning bread, that ye should beware of the leaven of the Pharisees and of the Sadducees? Then understood they how that he bade them not beware of the leaven of bread, but of the doctrine of the Pharisees and of the Sadducees.” Christ is telling them to beware of the false doctrine of the Pharisees and Sadducees. Who are these Pharisees and Sadducees? These are those who would end up having Christ crucified. They are the Jews who lie in Revelation 2:9, “I know thy works, and tribulation, and poverty, (but thou art rich) and I know the blasphemy of them which say they are Jews, and are not, but are the synagogue of Satan.” They are also spoken of in Revelation 3:9, “Behold, I will make them of the synagogue of Satan, which say they are Jews, and are not, but do lie; behold, I will make them to come and worship before thy feet, and to know that I have loved thee.” These “Jews” are not our brother Judah, but are disguising themselves to be of the tribe of Judah. We will be doing a deeper study on this at a later date. There are many more scriptures that we could use to teach on the false teachers and false doctrine, but now we will go into what our job is. God wants us to warn people about the false teachings these false preachers are teaching in the pulpit today such as: the rapture doctrine, speaking in a babbling tongue, pagan holiday’s, Adam & Eve eating an apple, ect. It is our job, just like it was the apostles job to be fishers of men! To pull people out of these false doctrines and lead them to the truth. Jesus told us that we are to spread His truth, and that we would be able to do even greater things than He. John 14:12, “Verily, verily, I say unto you, He that believeth on me, the works that I do shall he do also; and greater works than these shall he do; because I go unto my Father.” Jesus tells His disciples in Mark 16:15, “And he said unto them, Go ye into all the world, and preach the gospel to every creature.” If God has opened your eyes and ears to His true word, then you need to be spreading it so you warn the people. This is a VERY important job, and Ezekiel 33 is a great chapter that shows this, Ezekiel 33:1-9, “Again the word of the Lord came unto me, saying, Son of man, speak to the children of thy people, and say unto them, When I bring the sword upon a land, if the people of the land take a man of their coasts, and set him for their watchman: If when he seeth the sword come upon the land, he blow the trumpet, and warn the people; Then whosoever heareth the sound of the trumpet, and taketh not warning; if the sword come, and take him away, his blood shall be upon his own head. He heard the sound of the trumpet, and took not warning; his blood shall be upon him. But he that taketh warning shall deliver his soul. But if the watchman see the sword come, and blow not the trumpet, and the people be not warned; if the sword come, and take any person from among them, he is taken away in his iniquity; but his blood will I require at the watchman’s hand. So thou, O son of man, I have set thee a watchman unto the house of Israel; therefore thou shalt hear the word at my mouth, and warn them from me. When I say unto the wicked, O wicked man, thou shalt surely die; if thou dost not speak to warn the wicked from his way, that wicked man shall die in his iniquity; but his blood will I require at thine hand. Nevertheless, if thou warn the wicked of his way to turn from it; if he do not turn from his way, he shall die in his iniquity; but thou hast delivered thy soul.” Now you can see how important it is to God that we tell people the truth. They might not be willing to receive it, but at least you planted the seed, God will allow it to grow in His own time. Remember, Satan does his best work in the pulpit, not out in a bar or back alley somewhere. His main job is to mislead people and turn them from the true word of God, and it’s our job to expose it!